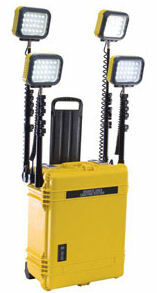 The Pelican Remote Area Lighting System (RALS) family of portable, self-contained, rechargeable LED area lights that can go where bulky, gasoline-powered lights can't—tight spaces, ravines, riverbanks, or just about any other type of tough terrain. 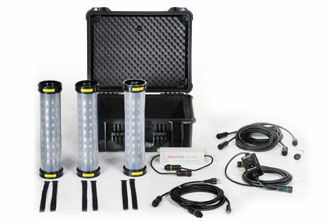 The Pelican RALS harnesses the latest LED lighting technology and a ‘green’, compact, maintenance-free Nickel Metal Hydride battery system that eliminates the need for fuel-powered generators and prevents trip hazards from power cords. 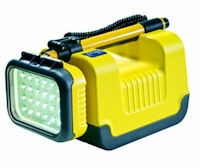 These unique products are often exported to Military/Government agencies, please contact us for export information.